Legg Mason Opportunity Fund utilizes its assets to purchase securities, derivatives and other financial instruments of common stocks. It has a dividend yield of 1.01%. This mid cap value mutual fund is managed by Bill Miller and Samantha McLemore. This class A fund has a sales load of 5.75%. Its expense fee is 1.31%. In 2013, it has YTD return of 68.03%. 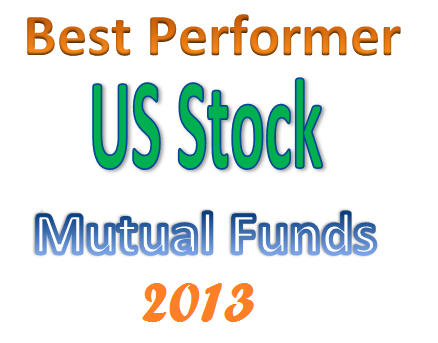 This top performing U.S. stock mutual fund has a 3 year annualized return of 14.69%. Morningstar has ranked it with 1 star. The top 3 stocks are Genworth Financial Inc, MGIC Investment Corporation, and Delta Air Lines Inc.
As one of the top performing U.S. stock mutual funds, Buffalo Emerging Opportunities Fund has total net assets of $513 million. It invests mainly in domestic common stocks, preferred stocks, convertible securities, warrants and rights, of companies with market capitalizations of $1 billion or less. It has an expense ratio fee of 1.50% per year. The fund managers are John Bichelmeyer and Craig Richard. The top 3 stocks are LogMeIn Inc, Ruckus Wireless Inc, and Pros Holdings Inc.
PRIMECAP Odyssey Aggressive Growth Fund invests majority of assets in companies with prospects for rapid earnings growth. This top mid cap growth mutual fund is popular among investors with $5.1 billion of assets. Its expense ratio fee is low, 0.64%. There is no sales load. Ranked with gold rating, this growth fund has returned 22.51% over the past 3 year, and 27.18% over the past 5 year. The current share price is $29.61. The top 5 holdings include Pharmacyclics Inc, Seattle Genetics Inc, Dreamworks Animation SKG Inc, Roche Holding AG, and Qiagen NV. The top 2 sectors are Healthcare, and Tehcnology.